So what computer gear do I buy? Given all of the options available these days, the seemingly straight forward task of buying a computer is now very complex. Desktop, laptop, netbook? OSX, Windows, Linux? Standard apps, open source or a combination? Multimedia and presentation tools, ease of use, tech support, virus, malware & spam protection, how well can the user support themselves (trouble shooting, ease of updates etc.)? There are as many questions as possibilities. Oh yes, what does the student need to be successful? The context of the question? My daughter will be off to university next year and it is time to settle on a plan to meet her school needs. As a well seasoned technology user, I have to weigh in my experiences and perhaps biases into the final solution. Desktop, laptop, netbook: I think I would settle on the laptop. Portability is important. I don’t think the netbook is quite ready for prime time as the only machine one has access too – but it continues to get closer to this ideal. From my own experience of using a netbook sized computer, I would land on screen size and keyboard layout as potential hinderances. Cramped typing won’t cut it for a sole source learning tool. Good battery life is critical too. OS: This area is more complicated in terms of landing on a final decision. I am not a big fan of Windows Vista. While many linux based OS’s such as Ubuntu offer a nice stable system, the primary user in this case has little exposure to it, at least at this point in time, so self sufficiency comes into question. OSX is a robust system with great multimedia tools, but the ‘how much will you run into Windows requirements’ question still nags at me. Ultimately, it is hard to say, but I think this has to be accounted for. I believe the best option for personal use falls in line with the direction we are moving as a Board of Education in our elementary schools – Intel based Macintosh hardware configured with the ability to run Windows. 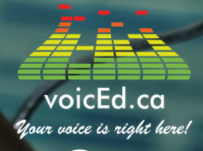 Our experiences in this environment have been very successful, and positive for the learning environment ~ a great suite of tools for educators and learners. On the Board front, we are starting a major roll out of this dual boot environment starting in the fall. This combination of OS’s offers access to all of the native tools in each OS platform, lets you benefit from the strengths of each one, and leaves room to add 3rd party software on either OS as required. A total win-win from my point of view. Our Board solution will be done as a dual boot arrangement with an OSX based image configured with an option to boot into a Windows environment. This choice also allows both partitions to be maintained in terms of imaging, patching and software deployment with robust enterprise level tools. On the personal choice end of things, other options for OS emulation from Parallels and/or VMware come into the picture. I have some experience with the Parallels setup – it is pretty slick in terms of the way it integrates Windows into the OS environment. I the testing I did, the ability to update Windows through the MS UPdates website seemed to fail more than it worked so it seems that manual downloads and installations would come into the picture (still sorting through this). Both the desktop and netbook flavours of Ubuntu seem to be quite stable in the Parallels environment. I have not personally tried the VMWare solution at this point. While the notion of the integrated solution is appealing on the personal computing level, I still think the dual boot approach is the most stable solution at this point in time. Software: Based on a decision to go with a dual boot setup, the software suite will end up being a blend of OSX and Windows native applications, standard applications (Keynote, MS Office, Adobe etc.) and a sprinkle of open source utilities. After all, it is all about getting the right tools to support learning! Nice post, Mark. Probably realistic for the time but the grass is growing under your feet. Another determining factor will be the applications that the university expects the students to use. It will be good to reflect after graduation to see if that was the proper solution. The drawback is that it is a pricey solution with lots of things to maintain on both sides and then even more once connected to the network. The things we do for our kids. In our case, we bought two Macs and one Windows machine to support post-secondary endeavours. No regrets. Thanks for the feedback – and you are right Doug. This is not the cheapest solution – but likely the best learning support tool for now. Reflections will be important. 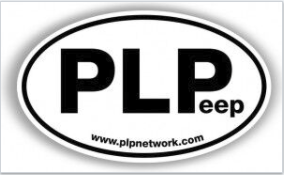 I will also keep you posted re Board plans – nudging a much bigger system into the netbook zone with PD, support and sustainability will be interesting too.